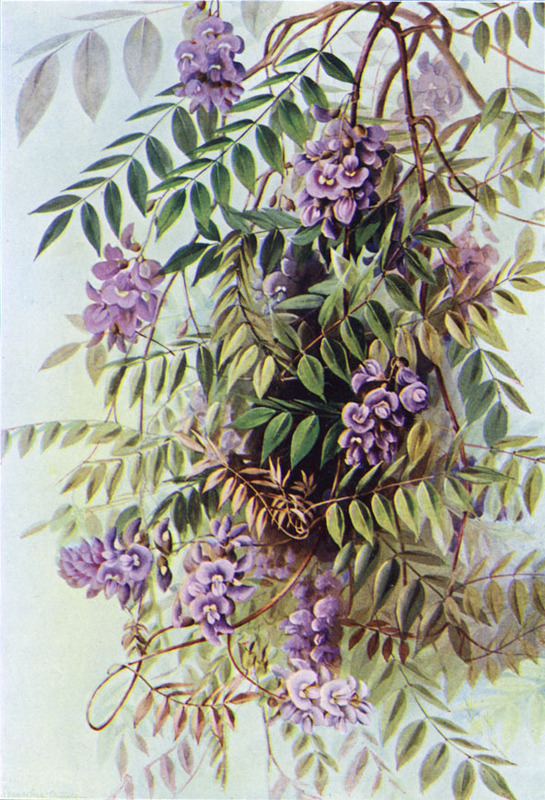 Wisteria frutescens is a woody vine to 12 m long, young stems hairless. Leaves alternate, pinnately compound, leaflets 9-14, elliptic to oblong, 2-5 cm, tip pointed, base wedge-shaped to rounded, slightly hairy below. Fruit pod 5-10 cm, hairless (Rehder 1986). Habitat: Escaped from cultivation, soil pH 4-7 (USDA, NRCS 2010).